Are we leaving our brightest children behind? As gifted students continue to disengage from our education system, parents are fighting an uphill battle just to have their children’s needs met. In a group of children who share characteristics such as intense curiosity, high levels of perception and sensitivity, a strong sense of justice and advanced abstract reasoning, it’s hardly surprising that more is needed to challenge them academically. Dr Hay says the risks that gifted students may face, similar to any student not having their needs met, include depression, acting out, withdrawal, isolation, underachievement, and anxiety. Melinda Gindy, president of the Gifted Families Support Group. (NSW) points out that studies show parents are more often than not accurate in their assessment of a child's intellect. “If there is a discrepancy between what is being observed at home versus school, the response should be ‘let's see if we can get to the bottom of why that is’ rather than [let’s] doubt that the child is really that bright and assume the parent just has over-inflated ideas of their child's ability,” says Gindi, who’s also the vice-president of the Australian Association for the Education of the Gifted and Talented. When identifying talented youngsters in an area such as sport, however, there seems to be no question that their abilities should be fostered, Dr Hay points out. As a self-identified sporting nation, she believes we embrace athletic talent, invest in the abilities of our young athletes and our elite sports people receive the high accolades they deserve. “All Australians know Ian Thorpe, and his amazing swimming achievements, but how many know of Terrence Tao?” At 12, Tao was the youngest winner in the International Mathematical Olympiad’s history and he went on to win the Fields Medal for Mathematics. It makes you wonder where Ian Thorpe may have ended up if he was forced to stay in the slow lane every day for his entire youth and not out-swim his peers. 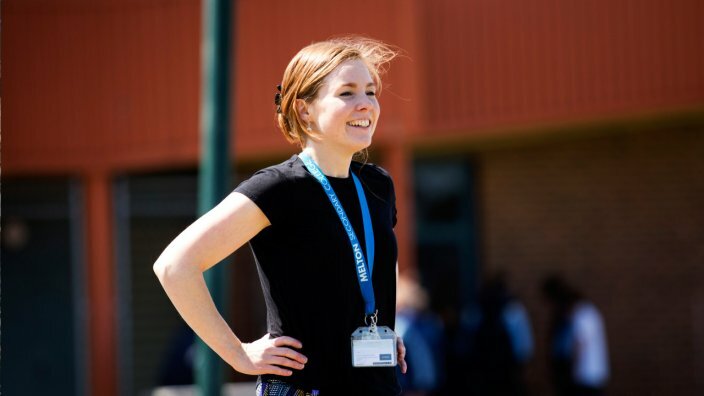 Brooke Lumsden is a primary school teacher who is also completing a postgraduate qualification in gifted education. 'Testing Teachers' is a three-part observational documentary that will take viewers behind the school gate to reveal the struggles and success Australian teachers face in the schools of Australia's toughest communities. It follows six first-time teachers over the course of 12 months as they start their new career. Testing Teachers premieres on SBS on Wednesday 19 April at 8.30pm and will be available after broadcast, streaming anytime on SBS On Demand. Watch episode one below. Are virtual schools the future of education? A cyber schoolyard and masterclasses with human rights lawyers and astrophysicists are all part of everyday life at virtual school Aurora College. Another school year has officially begun. But how school-ready is your child?